The handbook for survivors of childhood abuse. If you've ever wondered why you can never seem to thrive in the world, why you fear success or why your life seems to be on an endless cycle of disaster this is the book for you. After spending 2yrs in therapy and never getting an accurate diagnosis this book just explained my life in a nutshell. But also provided me with useful tools to effect my own healing journey as well. 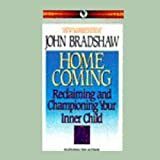 One of the most clear, relevant and helpful books on the market today for those afflicted with the damaging effects of neglectful and abusive parenting. Not only does it give you self management tools but also helpful pointers on how augment your own recovery by choosing an appropriate therapist and support groups. The book holds a clear promise that improvement is possible and you don't have to live your life in a cursed state. The cover art is a little unfortunate. Resembling an unreadable text book for psychologists, but it doesn't read like a text book and is well worth the purchase. I was so very surprised that this book doesn't have hundreds of reviews, hence my writing one, as it so deserves much more attention. Once one discovers that in fact they don't have PSTD but CPTSD, still to be 'recognised' as a valid condition, this really is your first book to get your head around such a topic. A 'holy scripture' if you like for understanding your situation and how to start to heal with this knowledge and some skills, particularly those times when you are triggered. Pete Walker says he's had so people write in and say finally someone who gets it. I am proud to be counted as one of them. 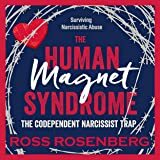 To know that your childhood neglect and abuse and response to it as an adult wasn't so unique (although the ego sometimes likes you to think you're unique! ), but a kind of logical outcome, brings an enormous amount of relief. This was especially so when I just couldn't understand why I was being triggered, not even knowing what to be triggered meant. 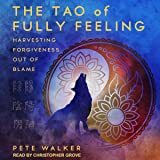 - Going from calm to over the top stress in seconds seemed completely out of my conscious realm of understanding and unfortunately, control. Did any therapist ever explain this to me in even slightly similar terms? Hell no. Such a pity as good therapy at the right time and place can be the commencement of a game changer for the rest of your life. 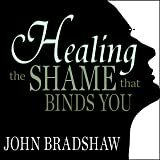 He's the post John Bradshaw, RIP, who had lived the experience and come through AND shared the knowledge with lay people. Maybe it's just me, but people who've survived this suffering are, in the main, the only ones who enlighten me. Their raw truth and honesty and what they have learnt is so much more powerful than the objective 'scientific' approach. But of course, they also need to have wisdom to have a reasonably intelligent reader. A few therapists sneer at such writers and it makes me want to shake them and say how much more effective their books are than their ignorant/ill informed therapy! And while there will be post Pete Walkers to come, I haven't seen any around the corner yet. Mainstream, I'm guessing, will still take a few years to catch up on CPTSD or labels that are given in the future of this condition. They've just started with soldiers, etc with PTSD, so it's gonna take a while. Whilst Pete Walker doesn't mention the words narcissistic parenting, etc as much as some books, articles, YouTube vlogs, etc, do these days - it's so popular(! ); such labels can certainly apply as a backdrop/background knowledge in his writing, and I'm sure he would acknowledge such people and the resultant conditions exist. I found this book to be extremely informative. I would highly recommend it to anyone struggling to come to gripps with their reactions. 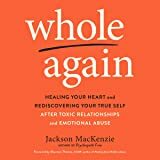 Absolutely this book has given me some peace and understanding to why i do what i do and how i was set up in childhood for victimization by my own self defences. No blame given as we are all victims of victims. Owning my agency to try to heal past my internal defences n wounds with compassion and love for my inner child. Beautiful read. 5.0 out of 5 starsExtremely comprehensive & in depth. This book will stand out as one of the most powerful reads of my reading career. 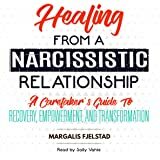 The author provides so much depth & understanding, leaving you to start the necessary steps to emotional & spiritual recovery. Stay with it, it has much to teach. So well written, not preachy at all, with wonderful tools to move forward. After 53 years of reading, and studying psychology, and various forms of counselling, this book brings it all together in such a validating way. Thank you Pete Walker. 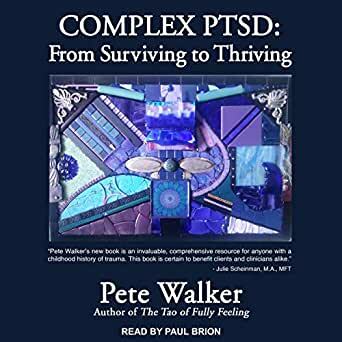 This is a tremendously helpful book for understanding complex ptsd and how to recover from it. It is honest, pragmatic and free from jargon - I will be using it as a reference guide for the foreseeable future. An excellent book for victims of childhood trauma and therapists. This is a must read for all coaches, counsellors and therapists. I bought it to gain insight for clients I work with in my practice. Pete takes you through the lattices of ptsd and helps unveil what is truly going on in each area.